Is your skin looking for the perfect pick-me-up? This oil-free and enchantingly light-weight gel is just what your complexion ordered. Rarely does one find a skincare product that can be shared by all. If you’ve ever desired a fresh, dewy appearance then get ready to be swept off your feet. Our Herbal Hydrating Serum (R399) includes a host of hydrating ingredients without a drop of oil! Ceramides, Ginseng Extract and Gingko Biloba help to repair the epidermal (top) layer of skin and improve hydration. This rich serum can be applied after moisturizer for drier skin types and worn alone as a night moisturizer for oily or acneic complexions. In addition, its packaging allows for maximum control during dispensing, which makes it easy to spot treat ultra-dry areas. This non-irritating formula is perfect for ALL skin types, so oily guys and gals can get the necessary hydration their complexions crave without clogged pores; dry skin types can hit their skin with moisture and radiance for a gorgeous glow; and acne prone individuals can rest assured that they’re feeding their skin, not their acne. A definite additon to any beauty regimen. 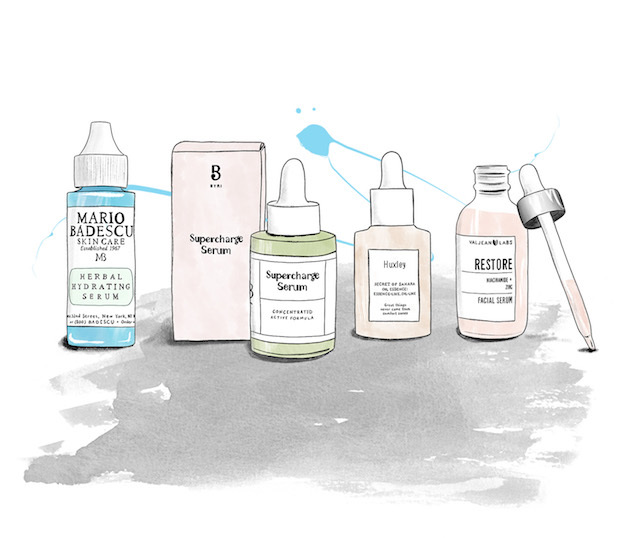 Previous post: Acne Treatments: Which products do you need?